So I bought this KME board on Ebay for cheap after waiting on it for a while. I didn't think much of it but apparently it's not well documented so here are some images and info. VR20X6/kf1246 was the one who recommended that I do. 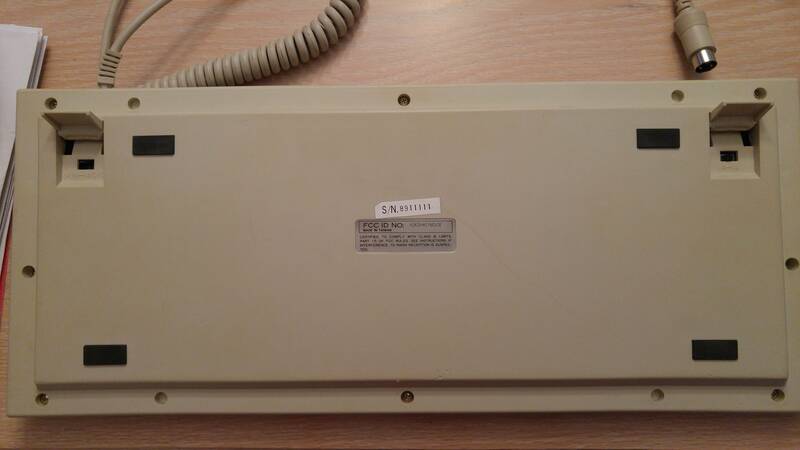 He said he had a similar board but in worse condition and with slightly different switches. The overall board construction is pretty mediocre. It's pretty heavy and not quite as bad as a 5181, but it's hollow, plasticy, and creaks a lot. 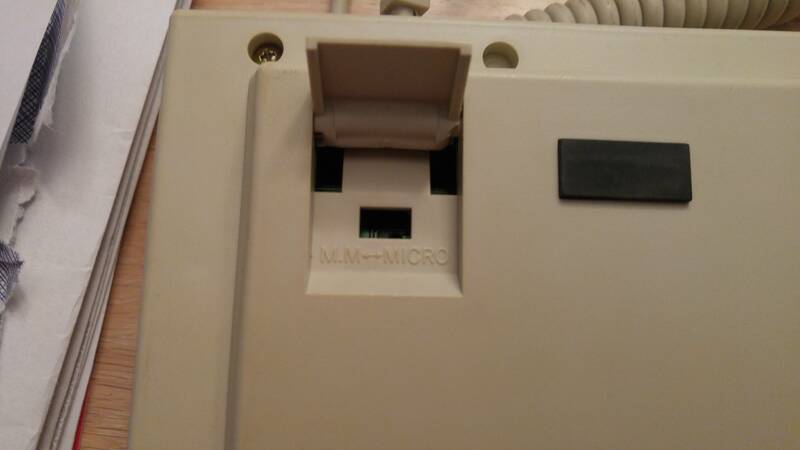 There's an AT/XT switch under the left foot, and a hole for a "M.M / Micro" switch under the right foot. I have no idea what the latter is about. Here's a closeup of the sticker. On the topside we have an example of some "quality". 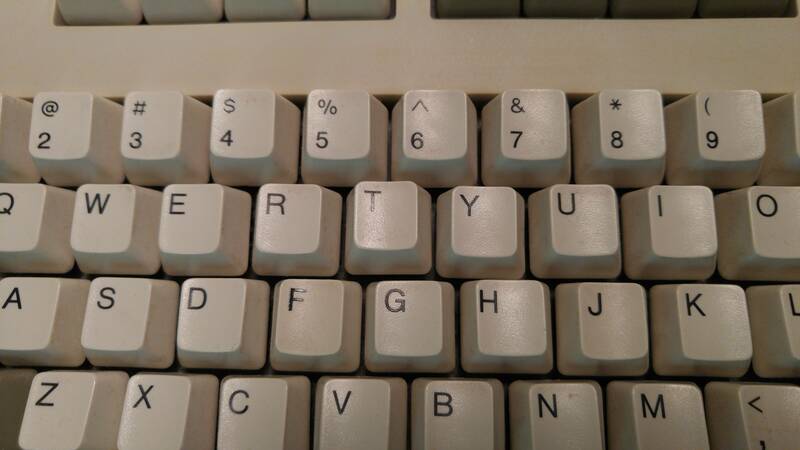 The "T" switch is badly misaligned, and the "H" key legend is as well. 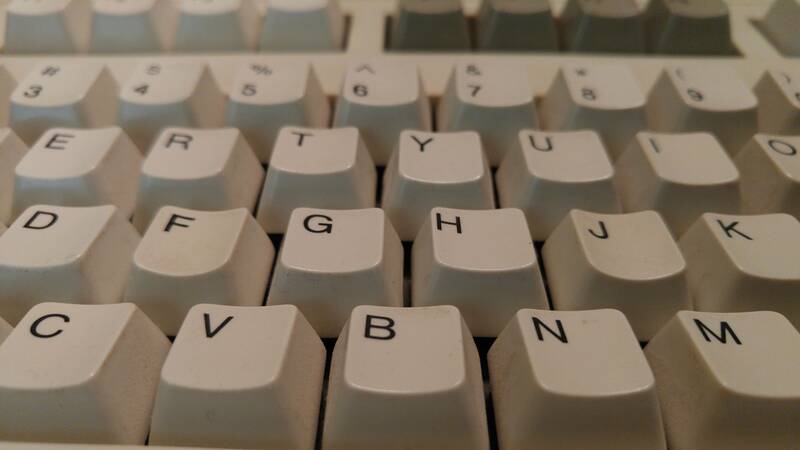 The printing itself is rimless pad-printing, which you can see pretty well on the "G" key. The caps are pretty standard, thin ABS. 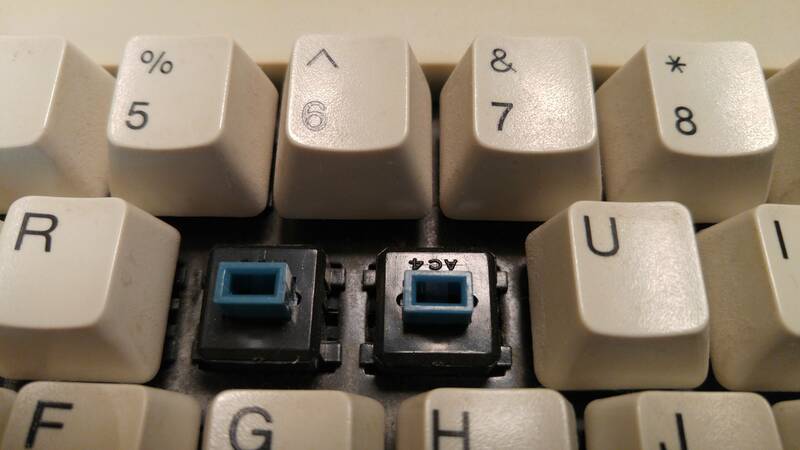 While the numpad "5" key has a homing bump, the home keys use deep dishes. The switches look like KPT blues, though they have different lettering on the top housings. The lettering varies from switch to switch too - I've seen AC4, AC3, and AC6 in various parts of the board. I suspect they're just IDs for the specific machine/mold they were made in. 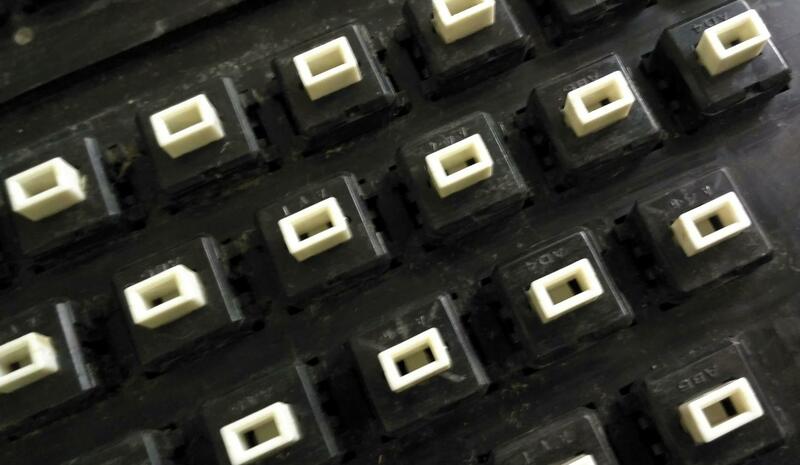 The switches are light and clicky, with a gentle but sharp tactility. They're a little less tactile than clicky SMK 2nd gens, but overall are about the same. They'd be really nice to use, but unfortunately the particular ones in this board are scratchy as hell. The strange thing is VR20X6's board is much dirtier, but doesn't have the same problem (though the switches in his are a bit different). I plan on disassembling this board at some point, desoldering the switches, and seeing if I can clean/lubricate them. I'll post more pics when I do. Those look like the KPT clones I found last year, except mine were linear. They have the same lettering and general shape. 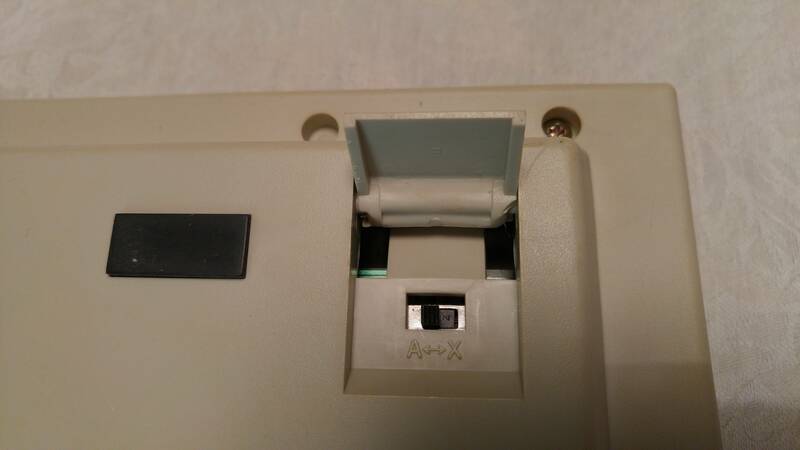 Here's the post detailing the differences between the ones I found and regular KPT switches. Nice. 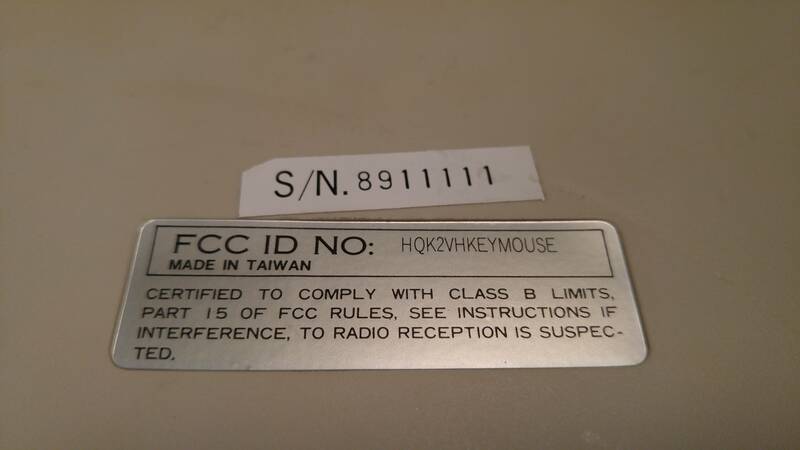 Just got almost same board (same case, same FCC ID) but with white KPT clones. I'm yet to properly clean it, so potato picture without detailed dirt. I have those blue ones on Podworld 102 keyboard and honestly cant feel any significant difference. Need to desolder white and compare internal structure. 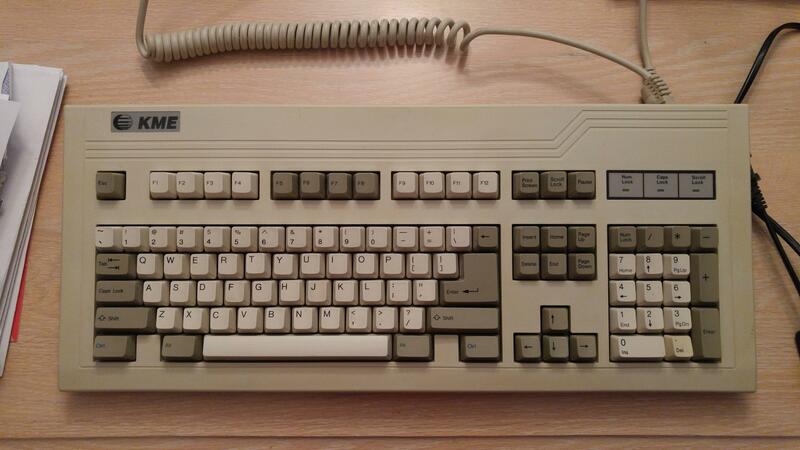 I can say one thing for sure - those "copper" clicky leaves in blue switches are definitely not time resistant. Seen too many of them snapped in half. The square look, the lines that do nothing but look cool, the logo, Its like the 90s personified in a keyboard case .